AX Paris Curve is definitely in my top five favorite brands. 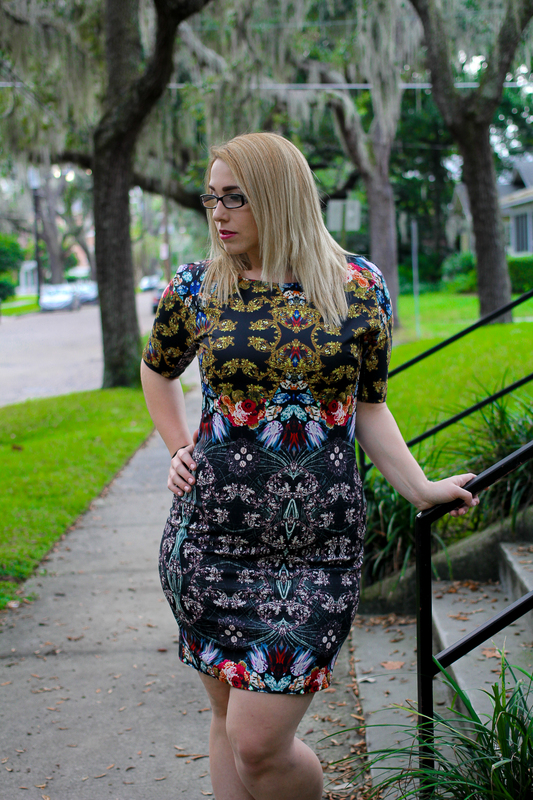 I picked up this dress from SimplyBe a couple months ago and it’s amazing so of course it sold out. I love everything about this dress; the pattern, the fit and feel of the fabric. One thing I have found about AX Paris Curve bodycons sizing is that they run small. I am in a US14 and I am a consistent 10 in all my other SimplyBe dresses. Definitely a dress that will stay with me for a long time.